If this is your first time visiting the spa, please arrive 15 minutes early to fill out paperwork. Online appointments and new client bookings will require a 20% deposit to secure your appointment. To cancel or reschedule an appointment, please call us at 707-474-5181. If no-one is available to take your call, please leave us a clear voice message with your name, and the time & date of your appointment 48+ hours in advance. You do not call us to cancel/reschedule your appointment 48 hours or more before it is due to take place. You fail to show up for your scheduled appointment. You come in for your service but at the time of your appointment you cancel or reschedule a portion of it. (For example: you are booked in for a facial and a massage, but you decide to only have the facial. In this case, the massage appointment would be marked as a “No Show”/Late Cancellation). Once an appointment has been counted as a “No Show”/Late Cancellation we will require a credit card to be kept on file and any further “No Show”/Late Cancellations may be charged in full. If “No Show”/Late Cancellations persist, we reserve the right to ask for up to 100% advanced payment (deposit) for all future appointments. If you arrive late, your session may be shortened to accommodate others whose appointments follow yours. Regardless of the length of the treatment actually given, you will be responsible for the total cost of the service that was originally booked. Out of respect and consideration to our staff and guests, please plan accordingly and be on time. To maintain our serene atmosphere, we ask that you not bring children to Estheem. We do, however allow children 16 and older to enjoy certain spa treatments, accompanied by an adult and must have an adult sign their consultation form. It is the adult’s responsibility to monitor the child’s behavior. Please turn off cell phones and speak softly. We provide a tranquil environment for all those coming here to relax and renew. We accept cash, check, American Express, Visa, Mastercard or Discover credit cards for payment. Your spa treatment fees do not include gratuities. Customary gratuity for each service provider is 10-20% depending on your level of satisfaction. Tipping is never expected, but always appreciated. You may return unopened skin care products in original packaging within 10 days of purchase accompanied by sales receipt for a spa credit. If possible, please leave your jewelry and valuables at home as you will not need it for your day spa visit. However, if you do bring such items, be mindful of not leaving them behind in treatment rooms or robe pockets. All aspects of treatment can usually be modified to your taste: amount of light, table temperature, and whether you choose to have a conversation or enjoy the treatment in silence. Feel free to ask questions. Your therapist will appreciate knowing your thoughts and clarifying any issues you may have. Be sure to mention any medical information when you book an appointment. Certain treatments may not be advisable for you. Before your treatment begins, let your therapist or esthetician know of any medical concerns or if you’re wearing contact lenses before you have a facial. If you are pregnant, massage services are provided only if you are beyond your first trimester (twelve weeks). It is never required that you are unclothed in front of anyone at our day spa. Therapists are well trained in the “art of draping” which means that they leave the treatment room while you get under the sheet on the massage table, and they keep you covered at all times except for the area of the body they are massaging. They also leave the treatment room before you get up from the table. Our trained therapists and estheticians are professionals and are here solely to help improve your wellness and relaxation. If a therapist ever feels that a guest is behaving inappropriately, they are authorized to stop the treatment immediately and direct you to the front desk to remit full payment. 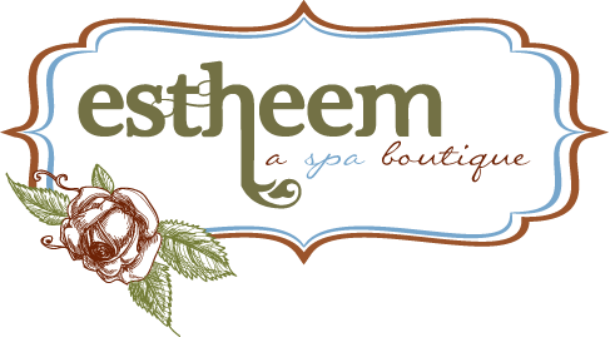 We thank you for your understanding, and for helping Estheem a Spa Boutique continue to provide the great service and appointment availability you expect from us. We understand sometimes there are extenuating circumstances and will evaluate each incident on a case by case basis. We look forward to having you back.